The Punjab State Tourism Department (PSTD) would take one year more to open the mid-18th century Gobindgarh Fort to the public. The hospitality industry, guides and art lovers are peeved over the delay in the opening of the fort to the public. They complained that the delay had hit their business interest and slowed down investment in the industry. The Amritsar Hotel and Restaurant Association (AHRA) General Secretary APS Chatha said the delay had hit the industry hard. He said once the fort was opened for the public it would increase the inflow of tourists and would also prolong their stay here. He recalled that following the state government’s request Prime Minister Dr Manmohan Singh during his visit to the city had personally given the keys to the then Chief Minister Amarinder Singh in December 2006. However, after the conclusion of all formalities the Army garrison stationed in Gobindgarh Fort handed over the possession to the state’s Tourism Department on October 6, 2008. It had brought cheers among the people who had been waiting to get access to the legacy of legendary Maharaja Ranjit Singh. Tourist guide Gurinder Singh Johal reasoned that since the holy city received the maximum tourists and pilgrims in the state, the government must put in all out efforts to complete the hanging tourist projects here. He anticipated that tourist inflow would increase manifold once the fort was opened. He said tourist especially coming from across the country regularly ask them to show places associated with Maharaja Ranjit Singh who was the first Indian ruler to prevent invaders coming from Khyber pass in the medieval history of India. Conservationist Gurmit Rai, who is associated with the conservation of Gobindgarh fort, said the first phase of renovation with the investment of Rs 1.5 crore, funded by the Ministry of Tourism, was over. She refused that any delay had occurred in restoring the fort. She said after handing over of the fort in 2008 a three-metre high wall had to be raised as per the defence rules to distinguish the fort area from the Army’s. She said about four more years would be needed to complete the entire restoration work. However, she added that the fort could be opened for the public after the conclusion of the second phase. She anticipated that it would take a year more to complete the second phase for which tender would soon be floated. Maharaja Ranjit Singh Toshakhana situated in the fort. She said under the first phase Maharaja’s period building distinguished by its 20-feet high circular plinth has been restored. She said the Britishers had constructed a colonial style bungalow after demolishing some of its floors. She said the picture of original building was availed from British Library, London. 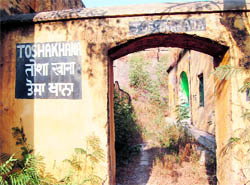 She ruled out that the bungalow was the official residence of General O’ Dyer, perpetrator of Jallianwala Bagh massacre. She said this building would house a museum which would showcase defence equipments incorporated by the Maharaja in his army. She informed that a historical narrative showing defence strategy of the Maharaja in decimating Afghan rulers and preventing invasion from uncertain western border would also be displayed. The Maharaja had developed a formidable military machine that helped him carve out an extensive kingdom and maintain it amid hostile neighbours. He developed Asia’s only modern army at that time. She said the area also housed Khalsa army’s canon foundry, which was associated with famous canon engineer of that time Lehna Singh Majithia. The Asian Development Bank (ADB) has funded Rs 7 crore for the second phase of restoration. This phase would see two-acre parking at entrance of the fort, road from entrance to the fort with landscaping, construction of moat walls, raising of four gates, north western bastion, rampart walls and Toshakhana. She said the spacious hall described in defence records as Durbar hall, was actually six-bedded hospital constructed by the British. It would also be restored in this phase. The last two phases would see installation of environment friendly royal tents attached with toilets, a 20-room hotel with boutique, cafeteria and many other interesting features. Bhangi misl rulers, one of the 12 Sikh misls, constructed the fort in 1760 and it was known as ‘Bhangian Da Qila’. Maharaja Ranjit Singh conquered the fort in 1825 and it remained under his occupation till the British took over in 1845. 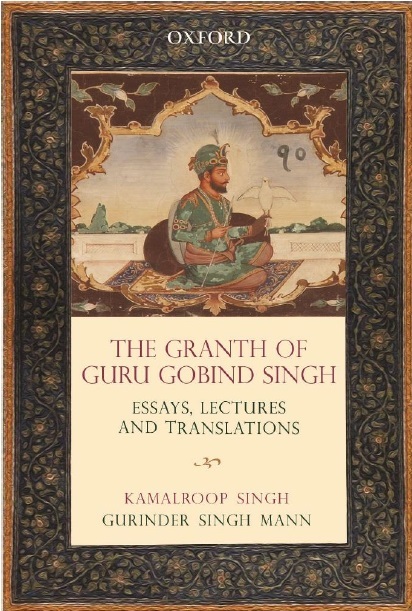 Maharaja had named the fort as Qila Gobindgarh after the name of tenth Sikh master, Guru Gobind Singh. The British used it to house the Army. In 1948, Gobindgarh Fort was taken over by the Indian Army. Following the Independence of India and the ensuing Partition, the fort gave shelter to a wide number of Pakistani refugees. The Army continues to occupy part of the periphery of the fort and a special road has been built to separate the Army unit and a separate entry provided for the general public to visit the fort.